Calling all golfers and TCS supporters!!! It's getting close to that time of year again...time for the 9th Annual Tee It Up Fore Temple Golf Tournament brought to you by the Temple Athletic Booster Club. We are excited to announce that this year's event will be held at a brand new venue, Diamond Oaks Country Club in Fort Worth, on April 22nd. Please mark your calendars and plan to join us on April 22nd. Registration Fees are $500 per team. $150 per player. Contact Beth Gonzales bethg@containerstore.com or 817-917-5816 to secure your spot! Click here for the registration form! What better way to show TCS pride than with a great yard sign!! Help spread the word about TCS by purchasing a yard sign from the uniform store for $10 (they are reversible so you can pick which side you like better!). 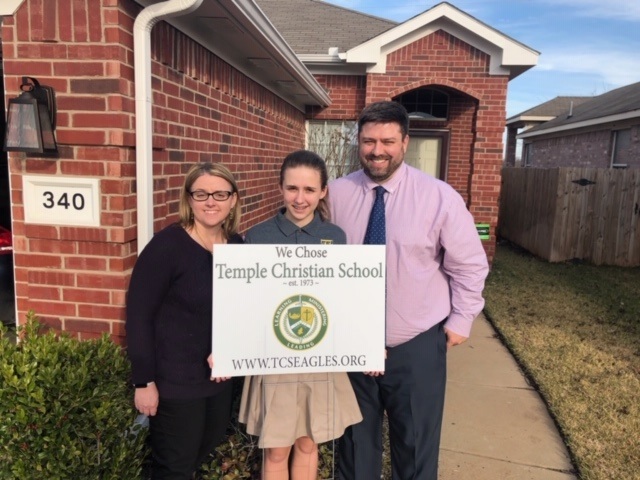 Send us a pic of your family with it, or post on social media and tag Temple Christian School and you will be entered to win 1 of 3 $50 gift credits to our on campus uniform store!! Order your school supplies for next year online! The link is at the bottom of the page. Remember to visit the College Corner regularly for deadlines, test dates, and general college help. Email Mrs. Kidwell with any questions. Order required uniform wear online at Lone Star Team Gear (2223 W. Park Row, Arlington, TX 76013). Click HERE for uniform details and requirements. 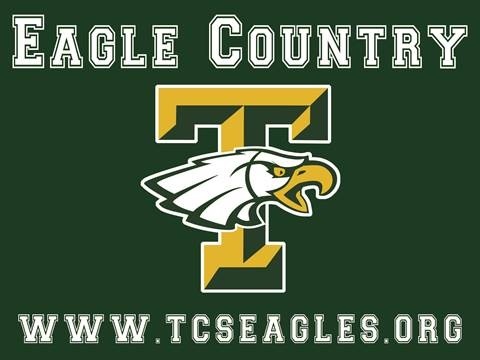 TCS polos, sweatshirts, and other gear may be purchased from Eagle Outfitters, the school store located in the Admin Building. 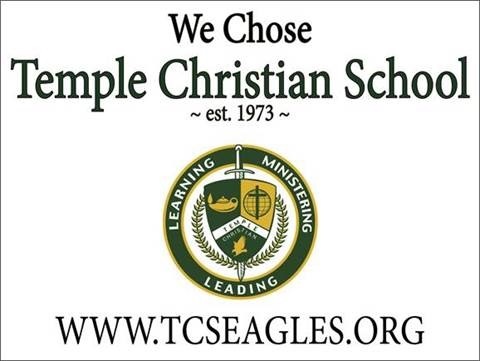 Show your Eagle spirit and check out the online TCS Spirit Shop. Click HERE. CLICK HERE for access to your child's information anytime via RenWeb.